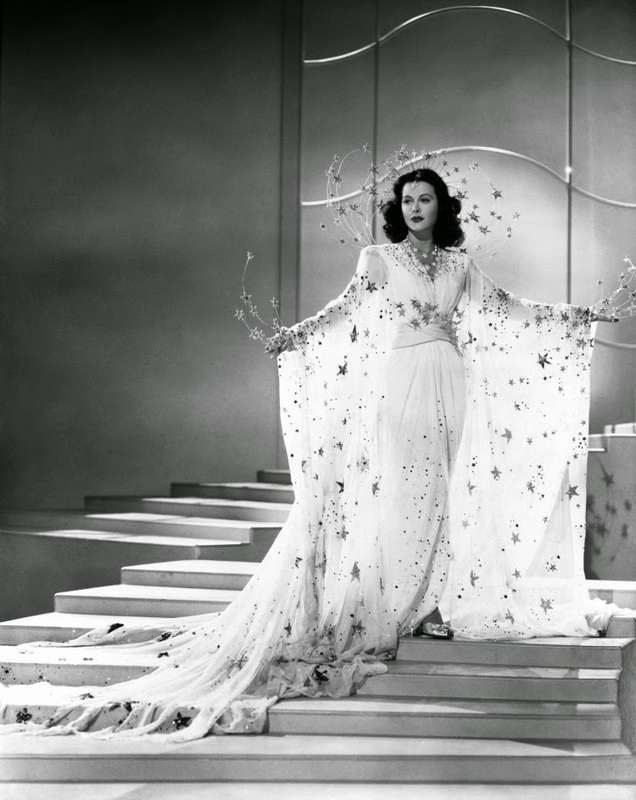 When I first saw the bedazzling photo of Hedy Lamarr in Ziegfeld Girl (1941) I knew I had to track down the film and see for myself what it was all about. It isn't a masterpiece of a film but it is as sparkly as I imagined it would be. 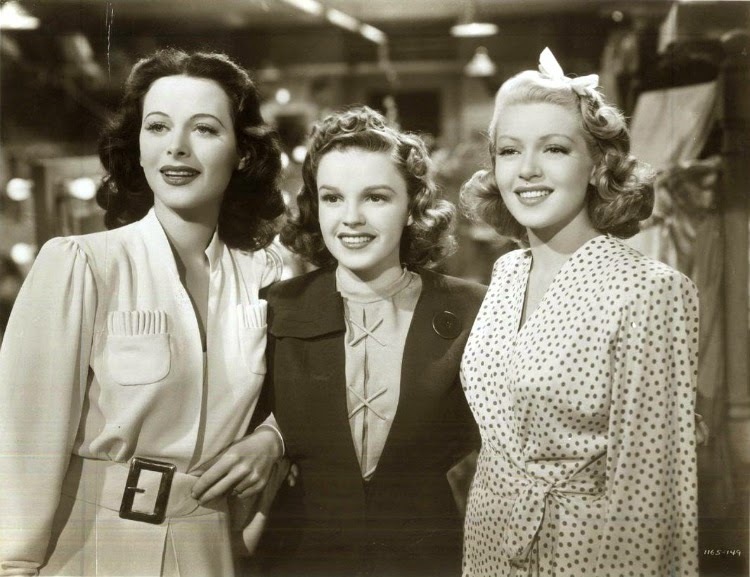 In the film we follow three women; one who aspires to be a Ziegfeld girl (Lana Turner as Sheila), one who is a experienced stage performer (Judy Garland as Susan), and one who is plucked out from a crowd because of her beauty (Hedy Lamarr as Sandra). Susan's story is connected very closely with her father who is also a performer. 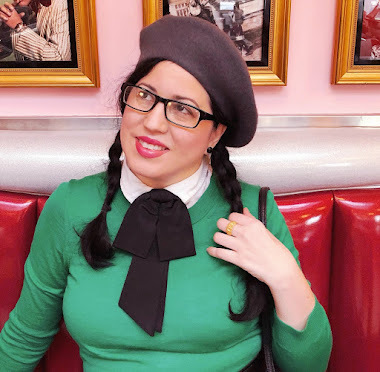 While Sandra's story involves her husband who dislikes that she makes money from being a Ziegfeld Girl while he struggles to find a job. I found the story of Sheila to be the most captivating. Sheila comes from a middle class home with parents who adore her but she longs for the bright lights and fur coats. 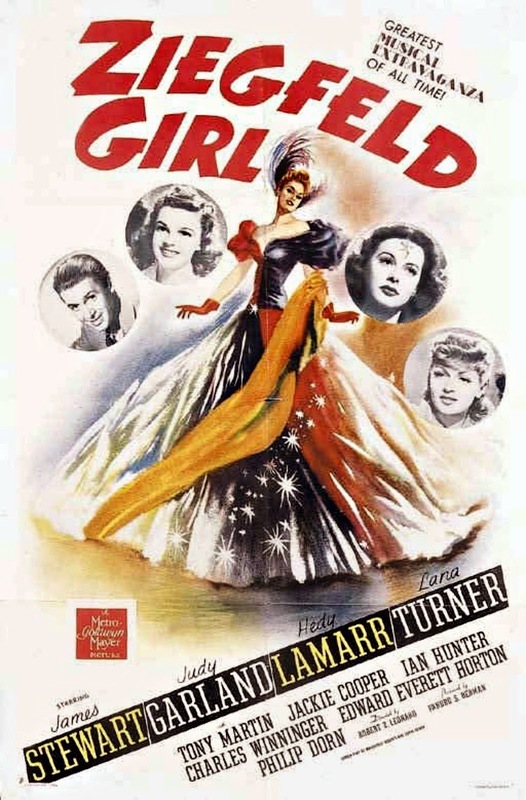 She is in a relationship with a man named Gilbert (played by Jimmy Stewart in a rare appearance in a musical) but sacrifices everything she has in order to have more financial security. Her story can be seen as tragic or as a cautionary tale about fame and greed. While watching the film I was happy to discover both Jackie Cooper (a child actor whose career spanned over 70 years) and Ian Hunter (who I knew from being the father Sarah Crewe was searching for in The Little Princess) had supporting roles. 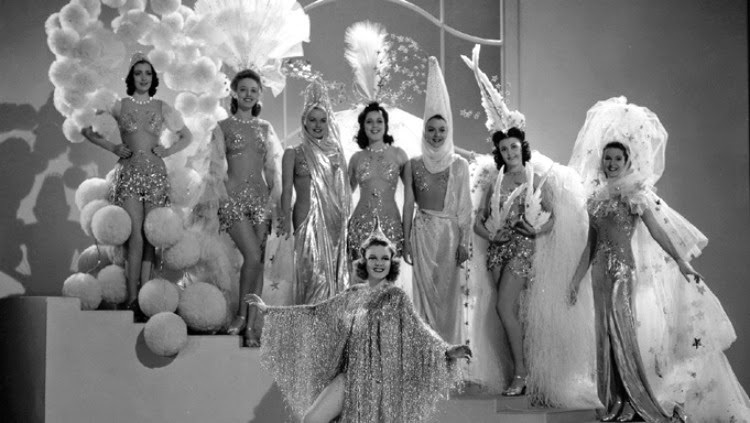 The film attempts to tell the tale of the young hopefuls who wish to become a star as a Ziegfeld Girl. I confess that it was hard for me to believe Jimmy Stewart as a criminal and you do wonder what happens to Lana Turner's character at the end but otherwise it is as dazzling as it appears to be. 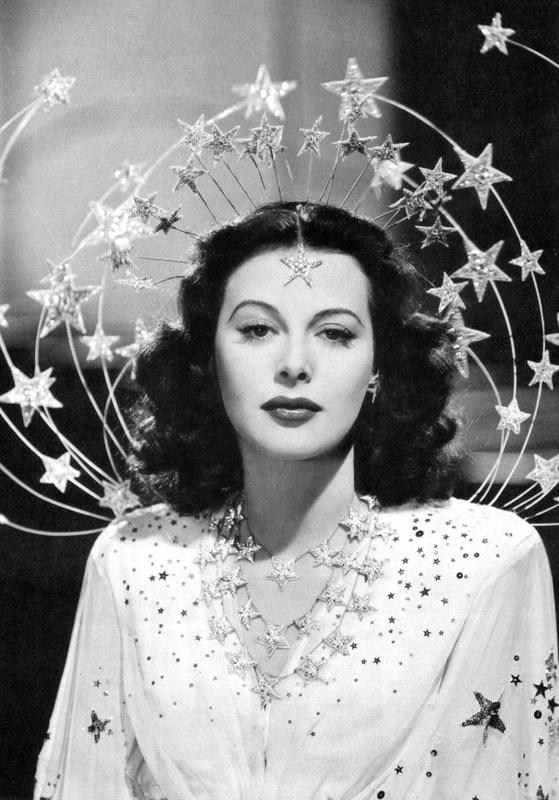 Hedy Lamarr in her stars dress and headgear does not disappoint. I found myself more entranced by her than by Judy Garland's musical numbers. I found them to be okay but certainly not her best. Must see? I think it is one of the films that can be enjoyable if you don't ask too many questions about how this happened or where this person is. It has its flaws but it I did love seeing all of these actors together in one film. That is a must see! Wow, this does look sparklingly fantastic! I'm going to have to find it! The costumes alone look worth it. How can I make a star dress...? Talk about a starlet studded cast if ever there was one! I feel like I saw this movie as a youngster, but don't have a crystal clear memory of it. Definitely another fun classic to add to the "try to watch" list.